Firestone Walker Brewing Company is one of the best-rounded breweries in the country. Their hoppy beers are fantastic. Their barrel-aged strong ales are tough to beat. Their flagship DBA & Pivo Pils are perfect when looking to have a few pints. You get the picture. So, when Firestone rolls into Seattle for a visit and they bring several beers that have not been seen often (or at all) around these parts, I take notice. 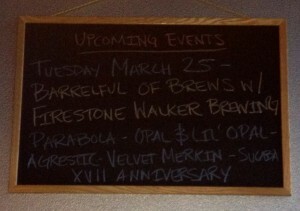 Firestone will be visiting The Sixgill from 6pm to 9pm this evening (Tuesday, March 25). In addition to “a bunch of the usual suspects”, they will have seven special beers on tap. There will also be swag giveaways. 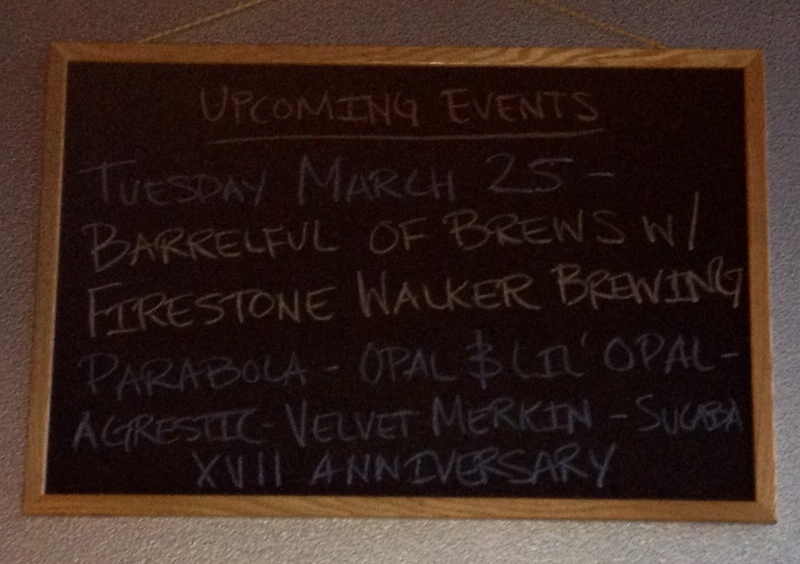 The Sixgill is one of the best beer bars in Seattle, and events like this are just part of the reason why. Parabola – Barrel-Aged Russian Imperial Stout. Sucaba – Formerly known as Abacus, this is a Barrel-Aged Barley Wine. XVII – Another in their series of legendary anniversary release blends. That Agrestic is delicious! I would even consider going back tonight for more.